Members of the Perilla genus are half hardy annuals that reach up to 60 cm in height. They have a bushy nature and are usually grown for their attractive foliage. Perilla plants blooms in the summer and carries tubular flowers of white atop long stems. 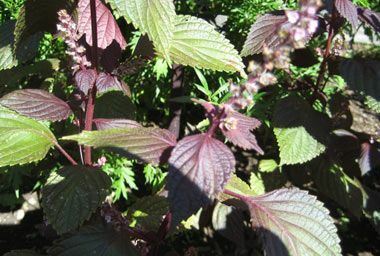 Some of the common names for Perilla include False Coleus, Shiso and Beefsteak Plant. Perilla Magilla by Photogirl7.1; creative commons. Perilla leaves by Matsuyuki; creative commons. Common Names: Beafsteak Plant, Purple Mint, Wild Coleus, Shiso, Japanese Basil. Flower Details: White. Tubular. Usually grown for its ornamental leaves. Foliage: Purple, green. Nettle-like. Deltoid. Toothed. Variegated. Sow Outside: Surface. Following the last frost. Spacing 12 inches (30 cm). Sow Inside: Use peat pots. Germination time: two to four weeks. Temperature 70°F (21°C). Three months before expected last frost. Transplant outdoors following the last frost. Requirements: Full sunlight or light shade. Good drainage. Dry soil. Pinch tips. Propagate: stem cuttings. Miscellaneous: The plant is a member of Lamiaceae, the mint family and has many culinary uses. It is a commonly used ingredient of many Japanese and Korean dishes. When growing outdoors from seeds sow the False Coleus (Perilla) on the surface following the last frost of spring. Perilla plant species are able to grow well in both sunny and lightly shaded areas. Ideally the soil should be fairly dry. 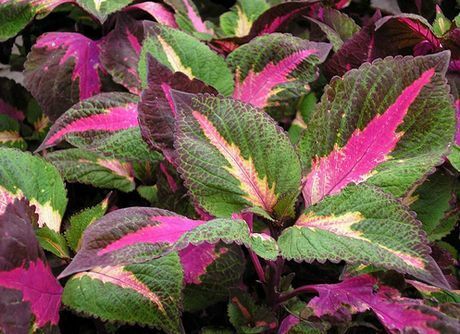 If growing False Coleus and other Perilla species in the green house first then start the process about 2 to 3 months in advance. The seeds should take from two to four weeks to germinate in the light at 18 to 24 degrees. Once ready transplant the young Perilla about 30 to 35 cm apart (after the last frost). 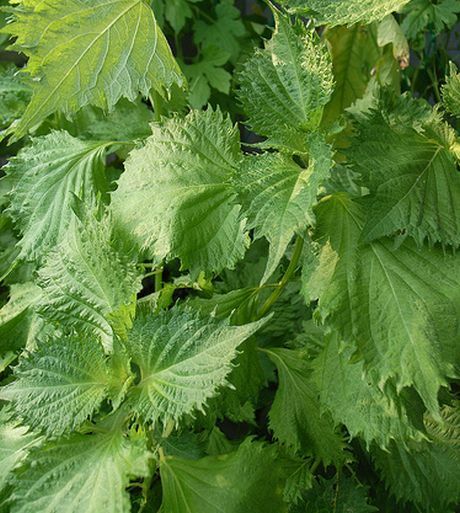 Perilla plants are easy to grow; as soon as they reach about 15 cm pinch the growing tips back to encourage bushiness. 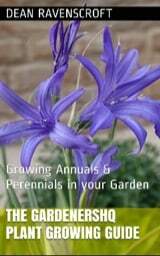 The plants can take over the garden so you may like to deadhead the flowers before the seeds has a chance to set. If you require more Perilla plants then propagation can be had by taking cuttings or they can be easily grown from seed.